I started my background with a paper from the Second Wind collection by Prima Marketing, their damask stencil and gel medium. Once the gel was dry, I spray Tattered Leather glimmer mist by Tattered Angels over the pattern and heat dry it. 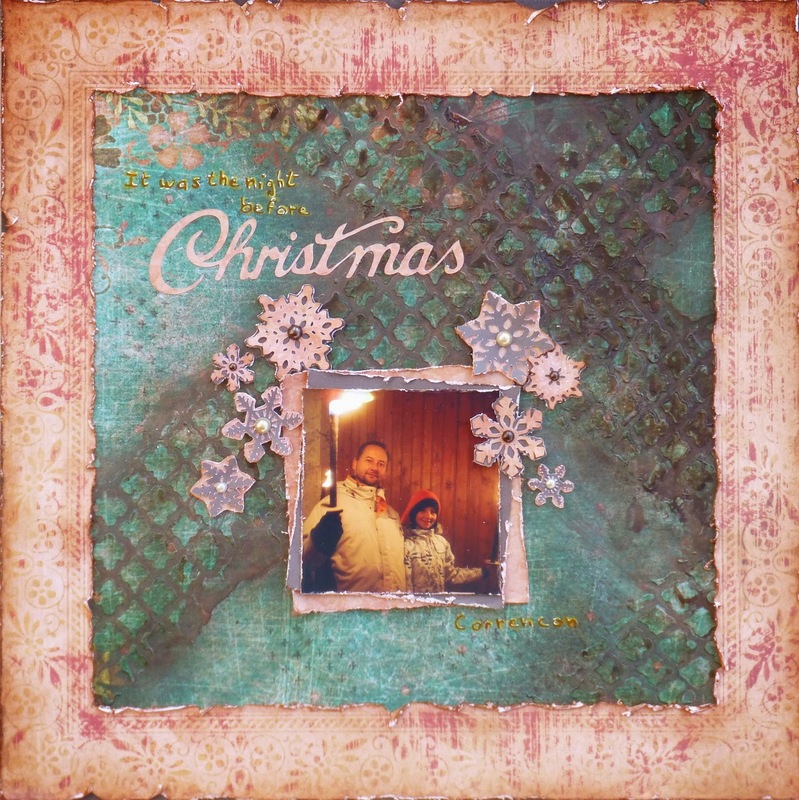 I cut the outside frame in a paper from the same collection and distress it with scissors and Vintage photo ink by Tim Holtz. The title and the snowflakes were cut with my Cricut Expression (Winter Lace and Christmas/Noel), and the journaling written with 3 different pens (gold, coral and white). I just add some pearls in the middle of the snowflakes to give them more dimensions. I wish a wonderful day, and see you soon !